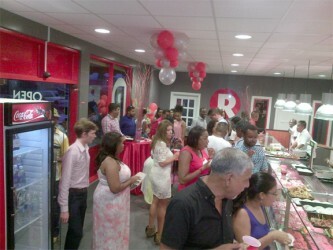 Rossignol Butchery and Meat Centre, a multi-million dollar investment by a Surinamese entrepreneur yesterday came to full fruition and an official opening ceremony was held yesterday to mark the occasion. 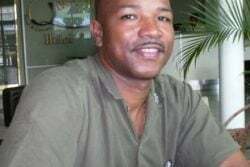 The event, which was held at the Butchery’s Church Street location, saw several members of the Surinamese and Guyanese diplomatic community coming out to celebrate. Bryan Renten, one of the Butchery’s five partners explained that the total investment adds up to US$1.2 million, US$800,000 of which was used to cover land and building costs. 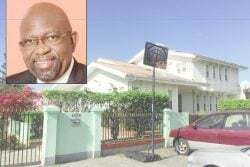 He added that the Guyana Bank for Trade and Industry (GBTI) loaned $160 million to the overall total. 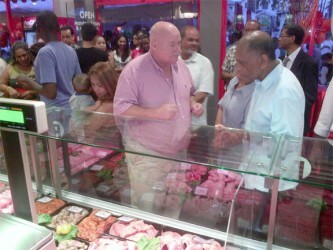 GBTI’s Chief Executive Officer (CEO) John Tracey explained that the bank was quite willing to assist the initiative since the Butchery’s presence in Guyana signifies the raising of standards. He also lauded the Foreign Direct Investment which Guyana now enjoys from the initiative, as well as the transfer of technology and skills that is likely to occur. As far as the transfer of skills goes, Renten explained that Marcel Haas, the Butchery’s Manager will be training local staff in areas he would have learned during his many years as an experienced butcher. Also, the owners of the butchery intend to work with Guyanese farmers to improve their breeding techniques and other areas of their business. The establishment actually opened its doors on April 26th. At that time however, Rossignol only offered meat products. Since this time, and keeping with its proprietors’ initial intentions, the business has expanded its services and now offers a variety of baked products, including a wide array of breads and pastries. Apart from the investment made in the country and the potential for skill and technology transfer, the butchery continues to support Guyana’s economy as most of the raw meat is purchased from Guyanese producers. Only a small portion of specialized cuts, Renten said, are imported from Suriname or the United States, while their bread is imported from Suriname as a semi-finished product. “Rossignol butchery is not only a place where you can get high quality meat products but we also offer freshly baked bread and pastries together under one roof. This significant achievement marks a major milestone in the Rossignol Group’s journey,” declared Renten. He said that the ground work for yesterday’s official launch was set several years ago when Geert van Dijk, who was already successful in running the Suriname Rossignol franchise, surveyed the Guyana market and determined that there were good enough positive indicators to support a decision to expand across the border. Renten said that van Dijk, the business’s proprietor sought to enlist partners in his cross-border venture due to the unique challenges such an initiative poses. In addition to Renten and van Dijk, the Butchery’s partners include Robbert van Dijk, Rick van Ravenswaay and Humphrey Bloom. Each partner, Renten said, brings with them a combination of equity, and important knowledge and skills to make the venture a successful one. Today the butchery employs 14 Guyanese and Renten said that there are plans to increase this numbers as opening hours are extended. The journey however, was not without its hiccups. 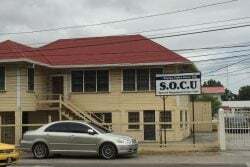 Renten said that there were a few bumps in getting the butchery to where it is today, but said that the services rendered by several agencies, including the Guyana Revenue Authority (GRA), Go- Invest, and the Public Health Authority were invaluable to achieving the success they have seen thus far. There are however, some problems which have persisted. Renten said that their building has not yet been hooked up to the power grid which has forced them to rely on a generator on a 24 hour. basis to maintain their operations. This, he said, needs to be corrected as soon as possible, especially considering the fact that the generator disturbs their neighbours. 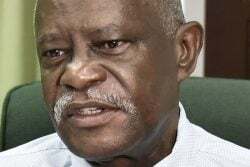 He also cited customs procedures on both the Guyanese and Surinamese borders as hindrances and called for the issues to be addressed. “Another issue I want to call to your attention are the customs procedures at both sides of the border. Despite the CSME (Caricom Single Market and Economy) this is still an area of concern. The procedures are bureaucratic, time consuming and at times very frustrating. I take this opportunity to call out to the policy makers here present today to take action, not only on behalf of Rossignol Butchery but on behalf of all business that want to do trade between Suriname and Guyana and within the whole Caricom. Take away the barriers and support entrepreneurs. Remember the real engine for growth and job creation are small and medium size companies and there is no better way than to unite countries by trade and mutual investments,” Renten said. Agriculture Minister Leslie Ramsammy said that the high standards held by the establishment will be welcomed by Guyanese who continue to demand better quality goods and services as their purchasing power increases. Ramsammy said that more and more persons are choosing to forego “corner shops” in favour of supermarkets, a testament, he said, of the growing demand for a higher standard. Also, amidst concerns about the quality of meat offered in Guyana, Ramsammy shared the Guyana has been certified free from Rinderpest infection by the World Organisation for Animal Health (OIE), and added that the country is positioning itself to receive additional certification. Mehroen Nisa Kurban-Baboe, the Surinamese Ambassador to Guyana said that the cross border investment seen in this business venture does well to facilitate further integration. She also said that the butchery has opened the door for other such businesses to enter the market.